Figure out what is inside a box by listening to the noises it makes. Optional: use as an model for how we learn about the structure of the sun's interior by listening to it. 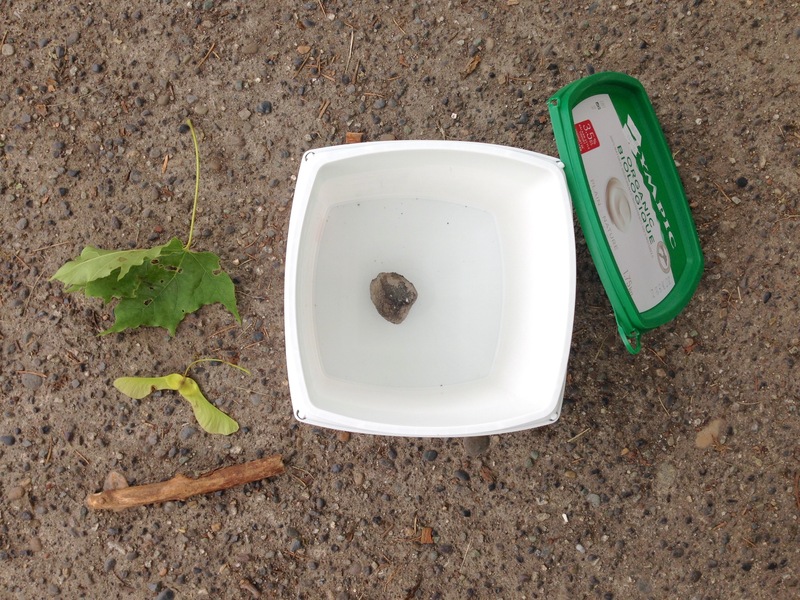 One student adds an item to the tub e.g. pine cone, leaf etc. and snaps on the lid. Their partner tries to guess what is in the tub, by shaking it and hearing the sounds made. 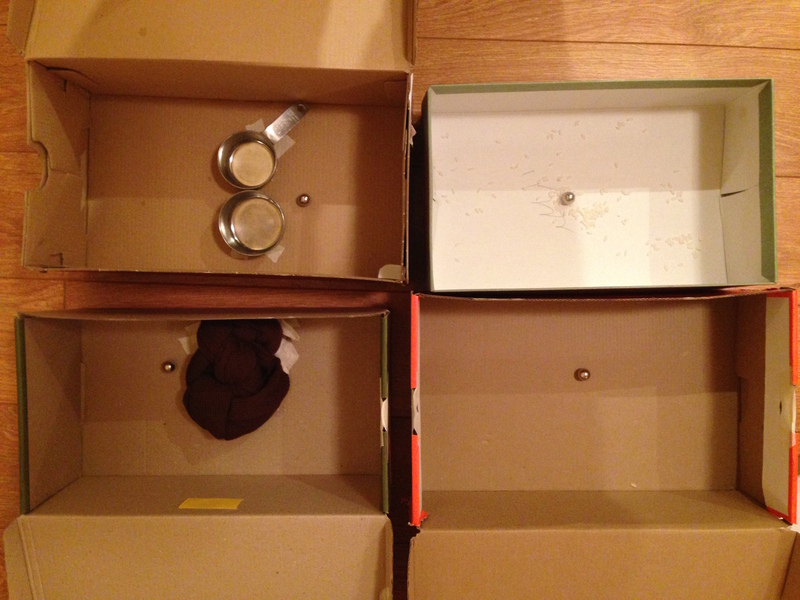 Before the lesson, tape different items into shoe boxes, and leave one shoe box empty. I used metal cups in one, a ball of cloth in another, and rice in another. Add a metal ball to each box. Seal the boxes. Make sure all holes are blocked, especially for a box containing rice grains. 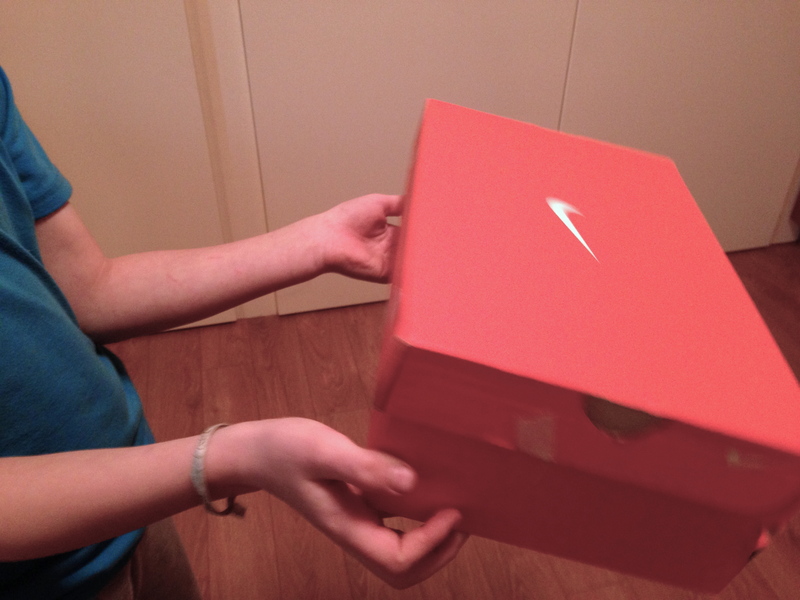 Ask students to tip the boxes, and deduce what is inside from the sounds they hear. The Sun's sound waves bounce from one side of the Sun to the other in about two hours, causing the Sun's surface to oscillate, or wiggle up and down. Because these sound waves travel underneath the Sun's surface, they are influenced by conditions inside the Sun. So scientists can listen to the sun to learn more about how the structure of the Sun's interior shapes its surface. The Sun's sound waves are normally at frequencies too low for the human ear to hear. To be able to hear them, the scientists sped up the waves 42,000 times, and compressed 40 days of vibrations into a few seconds.